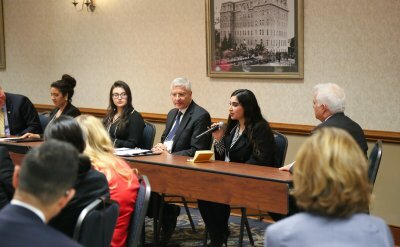 Goshen College co-sponsored a conference titled “Shared Opportunity, Shared Success: Latinos, Higher Education, Indiana’s Future,” in conjunction with Independent Colleges of Indiana (ICI), at the University of Notre Dame on April 13, 2017. 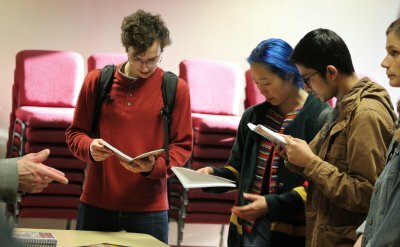 Goshen College and Pinchpenny Press are publishing an intercultural guidebook titled “The Goshen College Guide to Studying and Serving Abroad: Essays on Intercultural Learning,” drawing on the experiences of faculty, staff and students who have participated in SST. 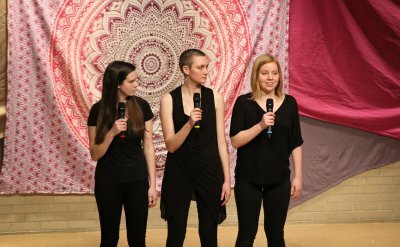 Goshen College faculty, staff and student women shared 50 true stories of womanhood in various forms - friendship, sexuality, body image, trauma and triumph - in the fourth annual Goshen Monologues on March 11, 2017. 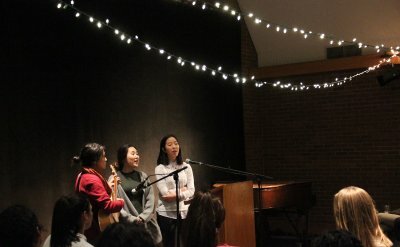 GC students celebrated International Women's Day on March 8, 2017, with stories, photos, art and music. 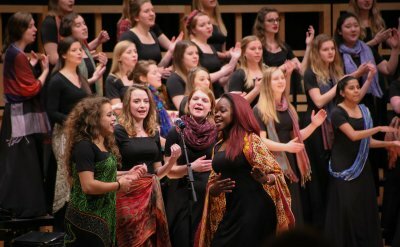 The Women's World Music Choir wrapped up their spring break tour with a home concert at Goshen College Music Center's Sauder Concert Hall on Sunday, March 5, 2017. 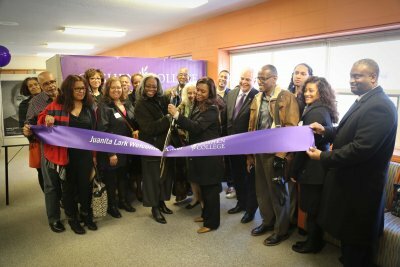 On Friday, Feb. 10, Goshen College officially dedicated the newly-named Juanita Lark Welcome Center in honor of Juanita Jewell Lark '43, the college’s first African-American graduate. 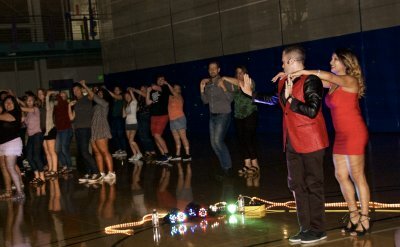 Special guests included members of Lark’s family. 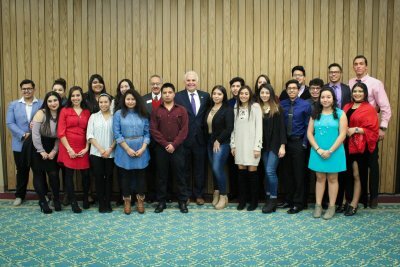 On Feb. 2, members of the Goshen Community leaders celebrated of the leadership and accomplishments of Goshen's Latino students. 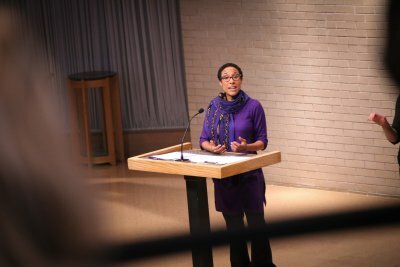 The Goshen College community honored the life and work of Martin Luther King, Jr. by holding an all-school study day, emphasizing the values and ideals that characterized King’s work. 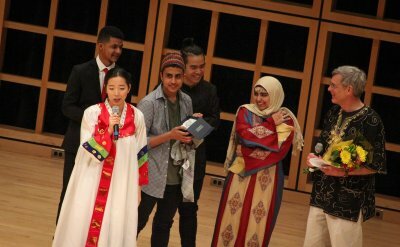 This year’s theme reminds the Goshen community that #ItIsTime: time to tell your truth, time to speak, time to tend to trauma, time for restoration, and time for compassion.